Buy Wholesale Reptile Hides, Caves & Shelters For Sale at Bulk Prices! 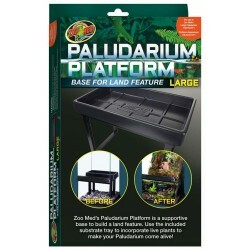 Buy Wholesale Reptile Ground Plants For Sale at Bulk Prices! Buy Wholesale Reptile Hanging Plants For Sale at Bulk Prices! Buy Wholesale Reptile Terrarium Accent Seed & Nut Pods For Sale at Bulk Prices! 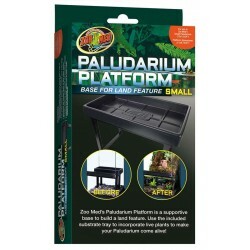 Buy Wholesale Reptile Terrarium Backgrounds For Sale at Bulk Prices! This Zoo Med Floating Betta Log is a natural-looking floating log for your pet Betta to sleep, play, breed, feed or a blow a bubblenest in. 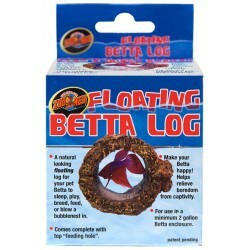 Make your Betta happy and help to relieve boredom from captivity with this log, which also comes complete with a top "feeding hole."